The PMC Green Bus provides an intelligent power management solution that simplifies the engineering design process. Facility infrastructure, critical loads, alternative energy sources, and utilities are combined under a comprehensive interface that enables the end user to make well-informed management decisions regarding the facility. Incorporating alternative energy solutions introduces many challenges when installing multiple energy generation systems in existing facility infrastructure. 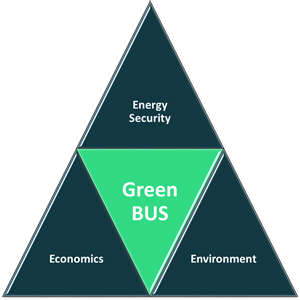 The Green Bus design focuses on increasing energy security, controlling energy costs, and maximizing power efficiency. 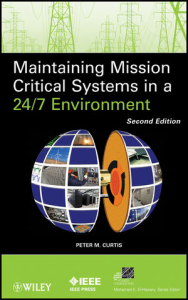 These core principles converge to produce an extremely reliable and robust power management system that meets the strict performance requirements of the Mission Critical industry. The Green Bus monitors all energy sources and maximizes the overall reliability and availability of alternative energy based on system capacity and its active loads. When there is excess energy available, the Green Bus will calculate the economics of storing excess energy for use during peak load periods or instead selling it back to the utility. The Green Bus can be easily deployed with all sustainable power installations at various capacities. Its flexible interface requires minimal configuration when adding any source of green energy to the facility’s electrical infrastructure, simplifying the expansion process as your facility grows. For remote power applications, a mobilized version of the Green Bus, packaged with alternative generation capabilities can provide power independent from the grid. The mobilized versions can also be combined as needed to provide a higher power output.